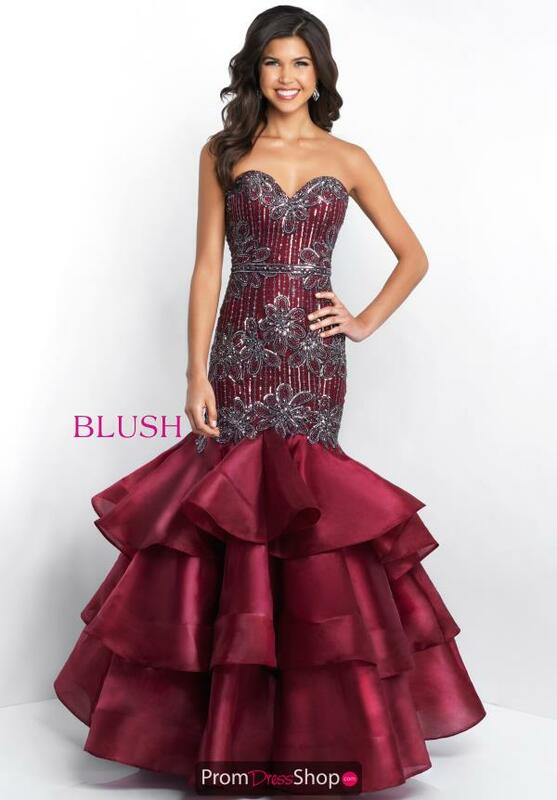 Dramatic Blush prom dress 11517 will have heads turn as soon as you enter. Jaw dropping dress features a sweet heart neckline that is beaded all along the fitted bodice. Mermaid style that will show off your curves, and leads to its extravagant flare ruffles at the bottom. Shop for more mermaid dresses at the PromDressShop.com.